Owners of the 2nd generation Apple TV on iOS 4.2.1 will soon be able to jailbreak their devices, untethered thanks to the upcoming GreenPois0n RC6. Joshua Hill of the Chronic Dev Team confirmed it earlier today. @p0sixninja: starting on rc6 now, including appletv support!! @nitotv has already done most of the work for us. he’s awesome!!! Another iPhone developer and hacker pod2G also confirmed this via updated GreenPois0n’s ReadMe file to reflect the addition of an untethered (iOS 4.2.1 endowed) Apple TV 2G jailbreak in GreenPois0n RC6. This is undoubtedly great news for the community. With all other iOS devices getting the untethered treatment of late, it was really only a matter of time until everyone’s favorite set-top-box and iTunes cash-cow got in on the action. 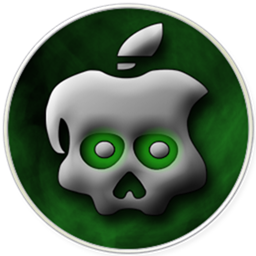 In the meantime, Mac OS X and Windows users can get untethered iOS 4.2.1 jailbreak for iPhone, iPad and iPod touch using GreenPois0n RC5, step by step instructions for which can be found here, and here.